The big news from Donnelly is the upcoming EMP gravel tire, which pulls its name from the airport code for Emporia, Kansas, home of a kinda popular gravel race that crushes souls every year. The tire is a departure from their usual tread design, getting a tighter tread block pattern without a well-defined center strip like most all of their other tires. It’s still designed to roll fast, which is key if you’re racing the Dirty Kanza or any other long distance gravel bike event, but with bigger side knobs to handle more aggressive cornering. * Tight tread block pattern and aggressive shoulder lugs. * Soft rubber compound for extra grip and shock absorption. * Integrated puncture protection belt under the tread. * Tubeless-ready design mounts easily to most tubeless ready rims. 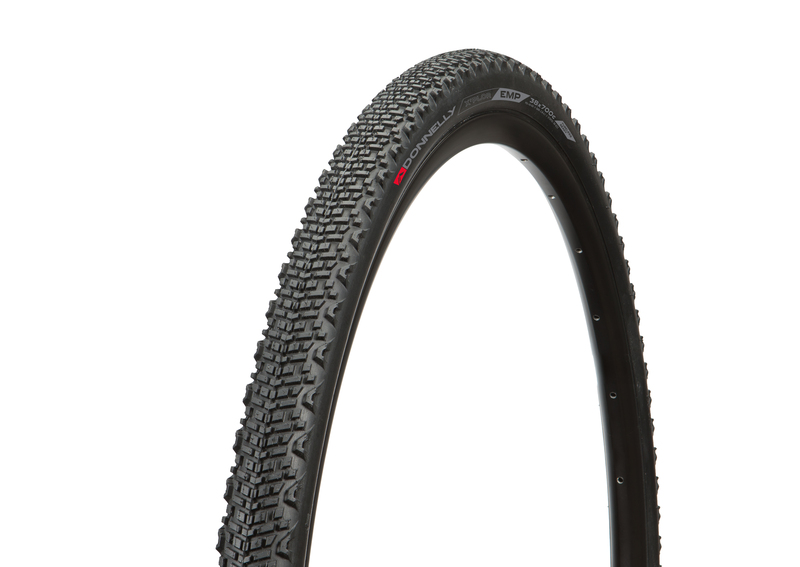 * Tubeless casing is reinforced for wear, features an Aramid bead. * Can be used tubeless or with a tube. Like what we do? Post and share a review - ride safe!